WOW! I wish there had been time in the day to post all the food I ate this summer. I just never seemed to slow down enough to get something recorded. I have to get better at short posts, I guess. There are some interesting bits on my Facebook page if you like instant gratification 🙂 At any rate, here I am attempting to get back in the flow and redeem myself before the cold winds blow again. 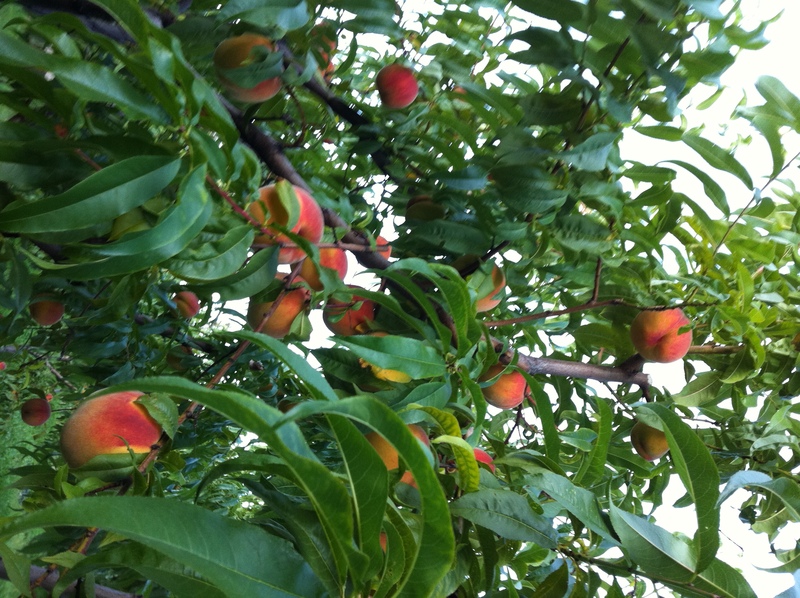 It’s peach season in the Okanagan and thankfully that lasts almost a month now with all the varieties they have. I love the decadent flavour and look of a ripe peach, and to be able to eat them fresh off the tree all summer is one of the reasons I feel blessed. But it’s fun to put them in recipes too, and not just desserts. I found a great salad recipe in one of my cooking magazines and was inspired this past week, especially because it includes another favourite summer flavour of mine, arugula. I discovered you can turn the salad into a sort of salsa too, but adjusting quantities. Freshness is a beautiful thing on any summer plate! If you want to try it out, go to Peach and Arugula Salad in the recipe archives.